These bits and pieces of information are read-only, meaning you can’t change them from the Movie Inspector window. If you’d like to share a multimedia file with others from your MobileMe home page on the Web, choose File→Share. After you’ve typed a name and description for your new file, you can optionally click the Allow Movies to be Downloaded check box to let others download the movie from your MobileMe page. 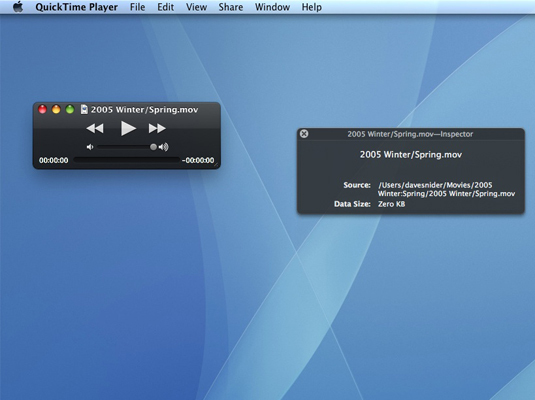 Click Publish, and QuickTime automatically takes care of the rest. Slick as a wet toad!